Use of socially generated “big data” on collective states of minds in human societies has become a new paradigm in the emerging field of computational social science, but bridging the gap between real-time monitoring and early prediction remains a challenge. Taha Yasseri discusses his paper Early Prediction of Movie Box Office Success based on Wikipedia Activity Big Data (with M.Mestyán and J.Kertész), which builds a predictive model for the financial success of movies based on the collective activity of online users, showing that a movie’s popularity can be predicted far ahead of its release date. Statistical physics can describe the collective behaviour of billions and billions of atoms (for example when crushed closely together into a tiny space) with a single formula. Image of Coldplay fans by Anirudh Koul. Read the full paper: Mestyán, M., Yasseri, T., and Kertész, J. (2013) Early Prediction of Movie Box Office Success based on Wikipedia Activity Big Data. PLoS ONE 8 (8) e71226. 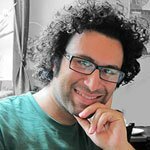 Taha Yasseri is the Big Data Research Officer at the OII. Prior to coming to the OII, he spent two years as a Postdoctoral Researcher at the Budapest University of Technology and Economics, working on the socio-physical aspects of the community of Wikipedia editors, focusing on conflict and editorial wars, along with Big Data analysis to understand human dynamics, language complexity, and popularity spread. He has interests in analysis of Big Data to understand human dynamics, government-society interactions, mass collaboration, and opinion dynamics. Note: This post was originally published on the Policy & Internet blog on 21 November 2013 9:49 am . It might have been updated since then in its original location. The post gives the views of the author(s), and not necessarily the position of the Oxford Internet Institute.